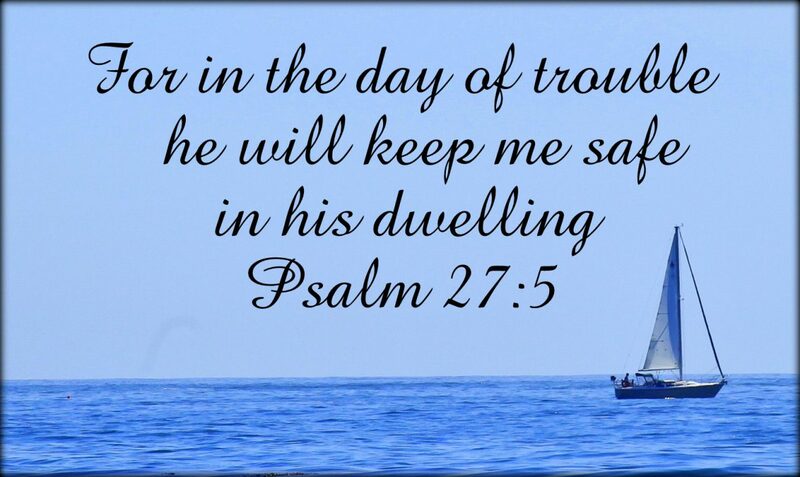 I will keep you secure, says the LORD, for I Am your place of safety. I will shield you and protect you from the enemy. Though he threatens you, do not pay attention to him. He is not bigger than Me, and I have empowered you to stand and not fall. I have fortified you as a walled city, and Am keeping you night and day. You are My beloved child, and I watch over you continually. Nothing can destroy you, for I Am your defense and you will not be able to be defeated, says the LORD. Do not frustrate yourself with endless questions of what you are going to do, how you are going to accomplish things and where you will get the resources. For all these things are within your reach. I have provided for you. I have fully furnished you and I will continue to do so. The things you have needed, I supplied. I will not fail you now or in the future. I have helped you and strengthened you and given to you what you needed in the past and I Am able and willing to do so now. All of your tomorrows are in My hands. Live this day in trust in Me. Take the steps that are in front of you. I have enlightened them, and I will take you by the hand and lead you gently forward. I will hold you up and keep you from stumbling, and meet the needs that you have, always, for I Am able to do more than just sustain you. I will overwhelm you with My power and presence and provision you with everything that you need, as you depend upon Me for everything in your life, says the LORD. AMen! Thank you Father!♡ I AM dependent upon You! Hallelujah! Thank You My Lord! Amen! AAAAAAAMMMEENNNN and AAAAAAAMMMEENNNN. WOW WOOOOOOOO HOOOOOOOO THANK YOU HOLY SPIRIT AS I BELIEVE RECEIVE AND CLAIM THIS POWERFUL WORD DECLARATION IN THE MIGHTY NAME OF KING JESUS HALLELUJAH HALLELUJAH AND ALL GLORY TO GOD ALONE HALLELUJAH HALLELUJAH AAAAAAAMMMEENNNN AND AAAAAAAMMMEENNNN!